Contrary to all the false teachings about the resurrection (1 Corinthians 15:12-19), the Apostle Paul speaks the truth (1 Corinthians 15:1-11). And so our hope rests in the Risen Christ. And this is true for all in Christ who have passed before us—both young and old, born and unborn. My family has enjoyed over the years the music of Jamie Soles. 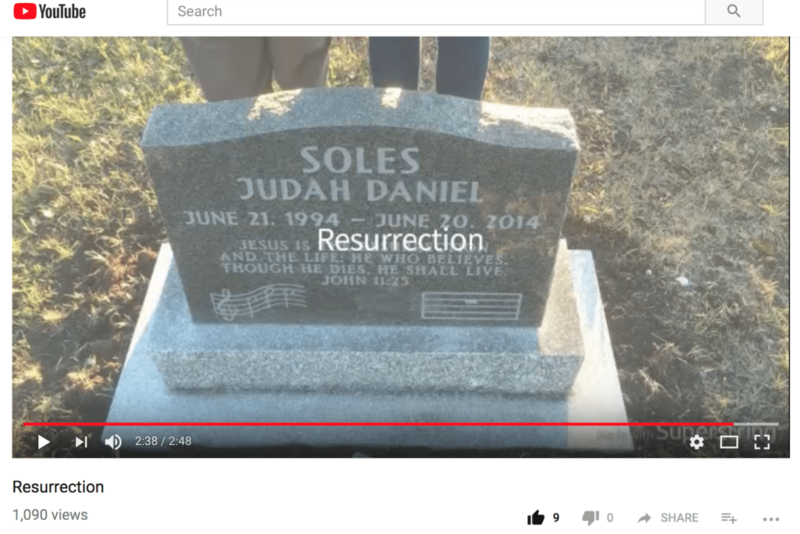 For me, I have always especially liked his song, “Resurrection.” After recently listening to it again and watching this on Youtube as it pictures friends and family digging the grave and preparing for the burial of his son, Judah, I realize all the more the hopelessness without Jesus’ life, death and resurrection and the hopefulness we have in him as He is the Firstfruits risen from the dead. Here is a helpful resource on explaining to your younger children (older ones too?) the importance of the resurrection. How will you take time to talk with your family about death and the resurrection?